Warmed by a wood stove in an old Civilian Conservation Corps barracks, a group of Madison-area naturalists gathered in the winter of 1968 on the grounds of the University of Wisconsin Arboretum to hear about the latest ecological research they could share as they led tours and walks in natural areas. Unknowingly, they were also laying the foundation for the Arboretum’s broad commitment to lifelong learning. 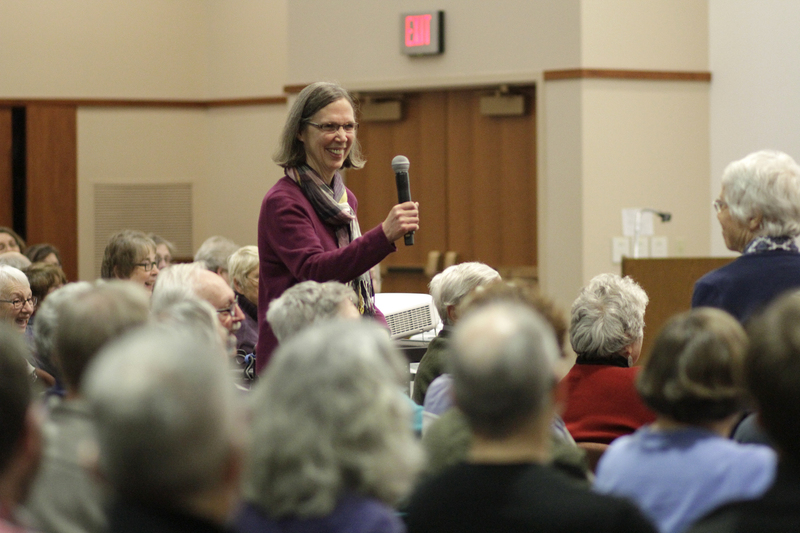 Fifty years later, the UW Arboretum is celebrating a half-century of winter enrichment lectures, which attract more than 150 people each Thursday to learn about a breadth of ecological, natural and social science topics, including the latest research, discoveries and personal stories. What began as training for local naturalists has evolved into a seminar series that welcomes the public, builds friendships, and drives anticipation for spring as it shares knowledge about Wisconsin’s environment. After the first year, the records on talks for the next decade go quiet. Resuming in 1979, notes by Arboretum naturalist Sylvia Marek show that the naturalist-only education sessions continued until 1989, when the “winter enrichment” audience expanded to the public. Today, many part- or full-time naturalists attend, along with nature enthusiasts and those looking for continued education. The educational talks for naturalists began as an effort by Arboretum naturalist Jim Zimmerman and Dane County naturalist Rosemary Fleming to help extend the Arboretum’s guiding credo — Aldo Leopold’s land ethic — beyond the Arboretum grounds. 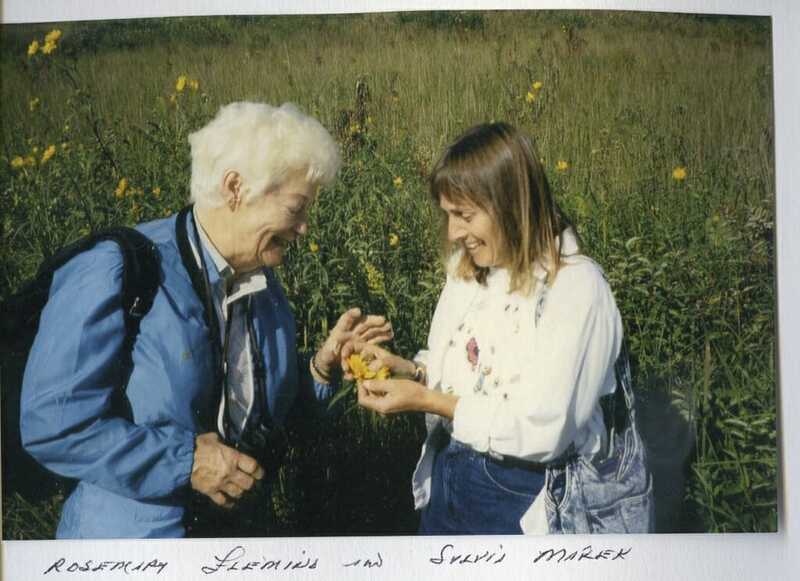 With only so many naturalists on staff and only so much land to share, they wanted to train naturalists who could go into the wider community and pass on their knowledge and principles. Early partners included the Madison School Forest and the Cherokee Marsh on the northeast side of Madison. 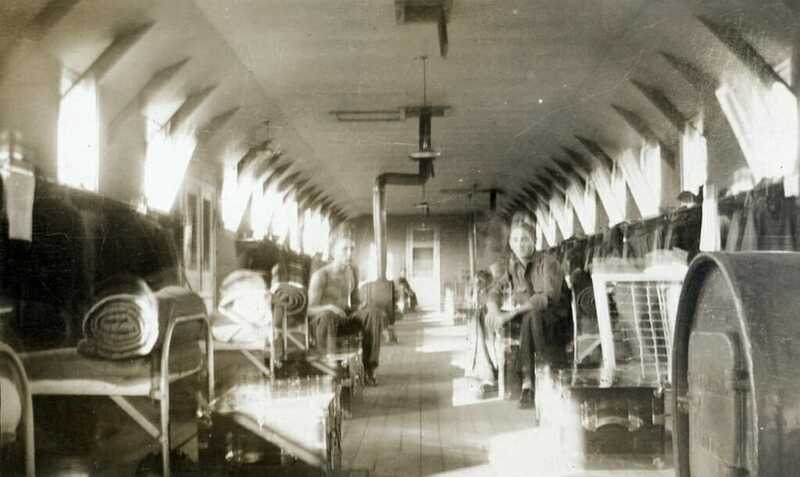 To commemorate the 50th year, Arboretum staff are gathering memories from longtime participants, some of whom attended talks in the CCC barracks before a larger venue, the original visitor’s center, was dedicated in 1978. 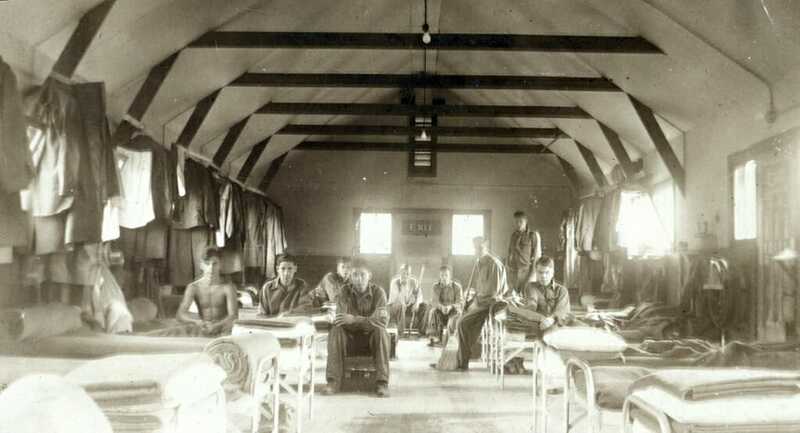 Mary Maxwell, a retired naturalist and Madison Metropolitan School District social worker, attended several presentations in the barracks, including one by mushroom expert Booth Courtenay. She recalls being struck by Courtenay insisting that even she wasn’t confident enough to safely forage mushrooms. Later, she picked up a puzzle by Courtenay featuring all kinds of fungi. The winter enrichment lectures gradually evolved their mission to eventually welcome the public. 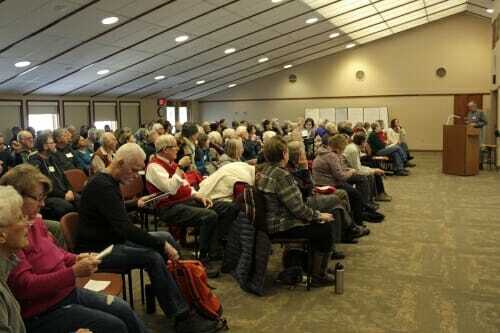 Talks range from how to restore habitat to wildlife management and philosophical discussions on conservation, such as a talk this year by Curt Meine, a UW–Madison adjunct professor and Aldo Leopold Foundation senior fellow. 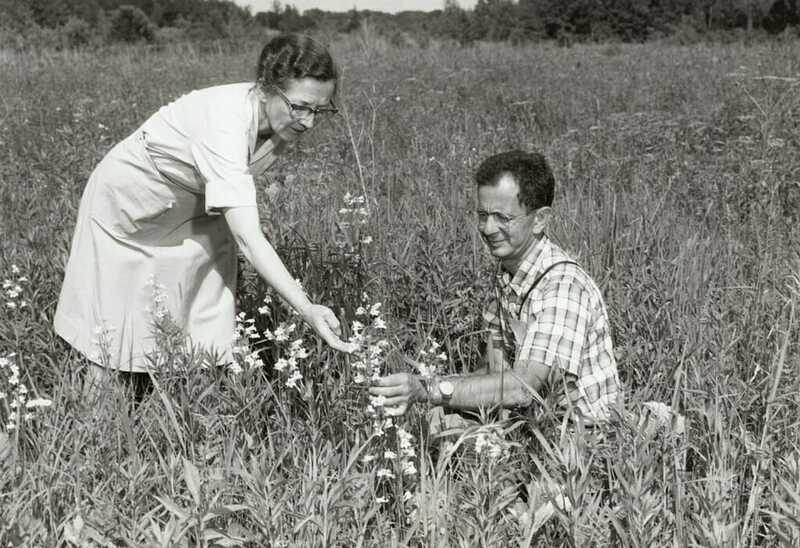 Meine, Aldo Leopold’s biographer, discussed how to approach restoration in a constantly changing world. Most of the attendees register for the entire seminar series. The regulars get to know one another over coffee. During the scheduled break, they share their latest sightings of plant and animal behavior in the lead-up to spring. They build fellowship. As Overholt begins ushering in the next 50 years of winter enrichment at the Arboretum, she’s looking to extend the success of the program across the various tours, classes and workshops that advance the Arboretum’s educational mission. Her goal is to encourage year-round involvement from visitors of all types — including those who might not be able to make the Thursday morning lectures. “We’re thinking about how we can make lifelong learning available and accessible to everybody, wherever they are in their journey,” says Overholt.